When you ride a Cargo Bike school drop-off feels like a warm tropical breeze rather than a wild hurricane. We need our riders’ help to show folks and families what they are missing by sitting in that line of cars. We’re giving away a sweet prize to the family with the best Cargo Bike school drop-off video! We encourage you to get really creative with your video! Tell us a story about your morning ride, let the kiddo film, show yourself whizzing by a long line of cars, interview other cargo bike parents. You do you, but bring us along for the ride. Fun video editing is encouraged but definitely not required. 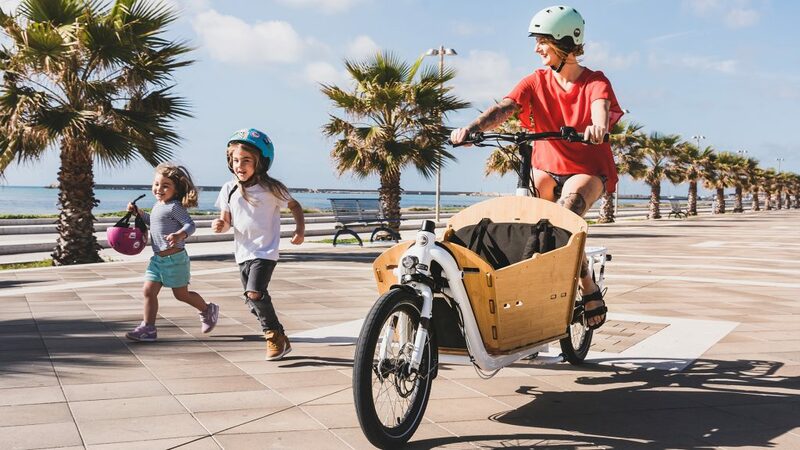 Plus enjoy a personal Cargo Bike expert to help you pick out the perfect accessory for your exact cargo carrying needs now and for the future. How to enter the contest: It’s a three step process. Are you ready? Make a video that best illustrates your morning school drop-off routine. Include a short paragraph or full length novel about what you love most about the Cargo Bike Lifestyle. Video must be 30 seconds to 1 minute in length. Editing is encouraged but not required. Entering a video in this contest automatically grants us permission to share it online.